Number 179 Rosemount Place can be found in the busy area of Rosemount near Aberdeen city centre. 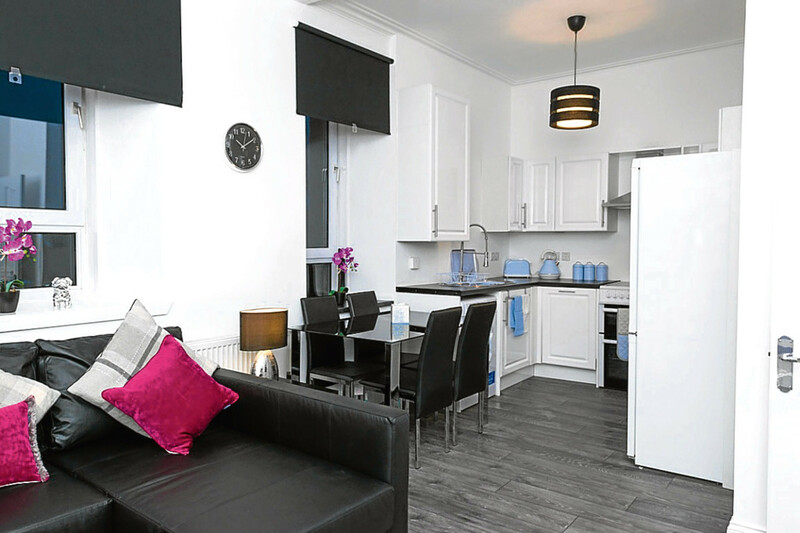 The second-floor one-bedroom flat offers stylish living in the heart of one of the city’s most quirky and desirable neighbourhoods. Heading inside you’re greeted by a welcoming hallway with plenty of storage options. This leads to the fabulous open-plan kitchen and lounge. For budding chefs the immaculate kitchen offers all the standard appliances, and you won’t be standing for hours on end cleaning dishes with the handy hidden dishwasher. This is a great room for entertaining guests, and there is even a stylish dining table ready to host your first gathering. Neutral decor draws your attention to the high ceilings and tall windows, with a funky statement wall in the lounge area. There’s plenty of room to put your feet up after a long day, and just relax in the pleasant surroundings. In the bedroom the trendy look continues with stylish flooring and contrasting walls. The room feels spacious and bright, with a lovely little alcove offering extra shelving options. The shower room has been fitted to a high standard with an immaculate white suite. In addition to the beautiful interior, part of the pull for Number 179 is the sough-after location. Rosemount is one of the few areas still in existence in Aberdeen where a large number of independent shops can be found. It maintains a lot of traditional premises such as butcher, fishmonger, cheese shop and baker, as well as offering a number of smaller boutique shops. Just a 10 minute walk sees you at the city’s main shopping district, and the area is well served by public transport. Green space can also be found in two nearby parks, giving you the best of both worlds. 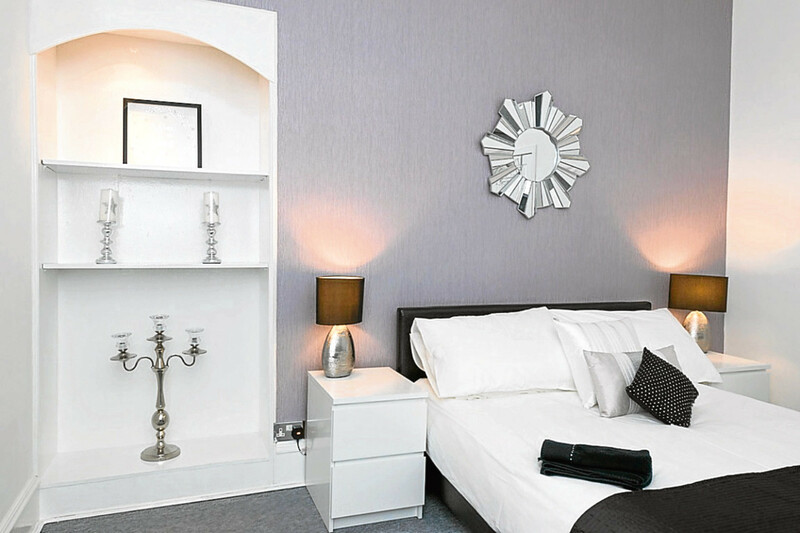 The property is available to lease on a furnished basis from around £600 per month.